I'll get this section rolling witha fewe pics of some figures from my collection. 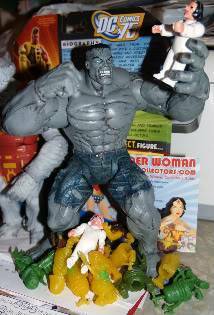 Here's a Diamond Select Ultimate Hulk. He's punching out a Mexican bootleg Uganaught SW. Not sure if I spelled the SW figures name right. Too lazy to look it up. 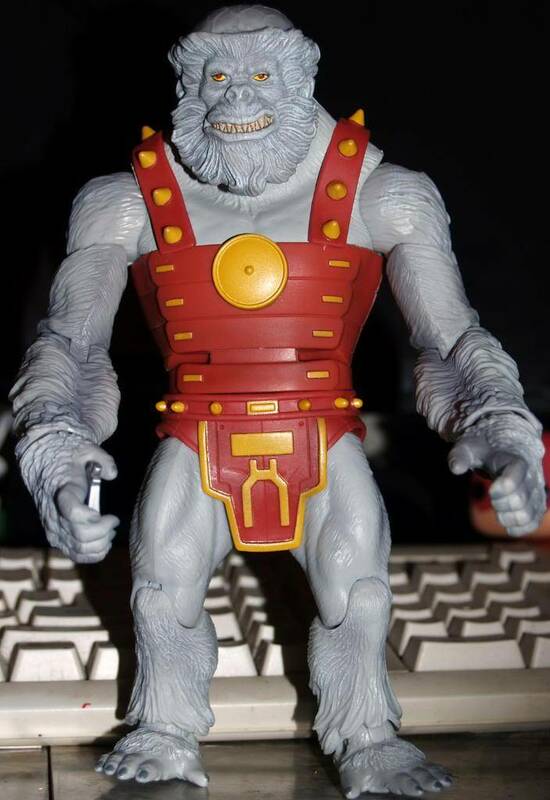 A Bulid A Figure from the DC Classics line. The Ultra Humanite. 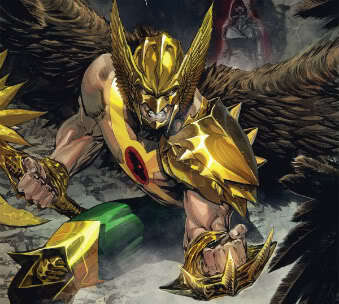 He's very historic because he was Supermans first ongoing villain. Even before the evil vial Lex Luthor!! In his first appearances he was a typical bald Mad Scientist character. Somewhere along the way me mutated into the handsome fellow you see here. Here's a favorite I got over the Christmas holidays. 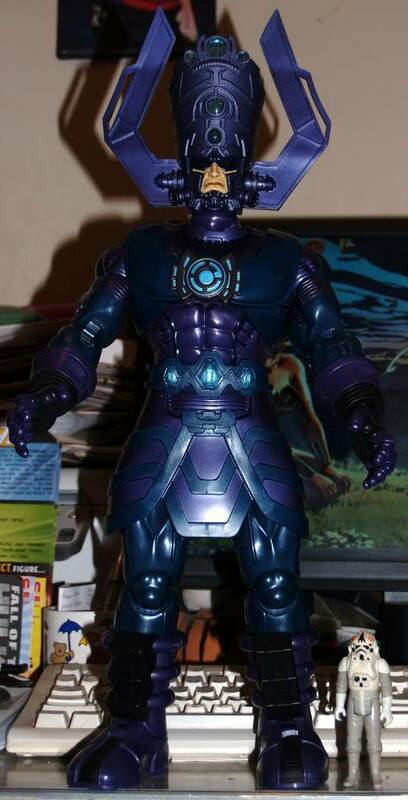 A HUGE Galactus figure. You'll notice the regular size Star Wars At-At Driver in the pic for scale. 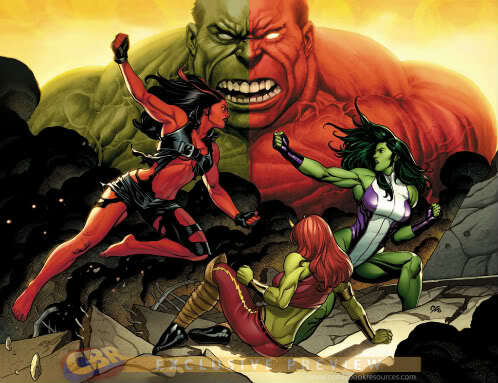 I said Galactus was huge and I ment it!! AND he talks. And one more before I have to get ready for work. 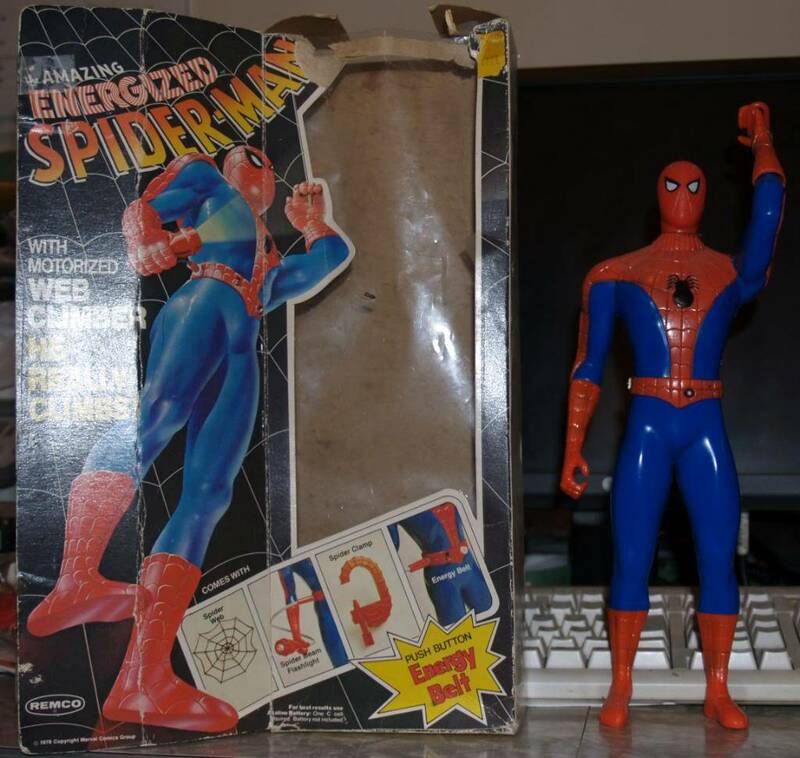 When I was a kid I used to stare for what seemed like hours at the ads in Marvel Comics for the Energized Spider-Man figure. I lucked out and found this one on Ebay one night and snagged him for a sweet price. Childhood dream fulfilled . I still have to get a battery to see if he works. Also have to track down the Helicopter and othjer accessories you could get. "SOLD SEPERATELY" of course. Man, great stuff! I remember seeing folks waking around SDCC with that giant Galactus box. It took a lot or restraint not to try and get one. But after seeing yours, I totally should have got one. 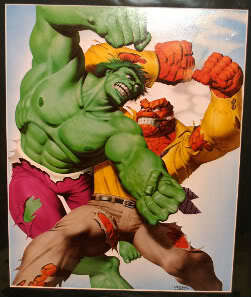 That thing is freaking rad! You need a tiny Silver Surfer to display with him. Tad- The Galactus came witha Silver Surfer. But it's one of those figures you look at and think "What the bleep bleep bleep were they thinking??" It's awful. And I just plain forgot to put it in the pic. Subject: Re: A few pics of some of my favorite figures.